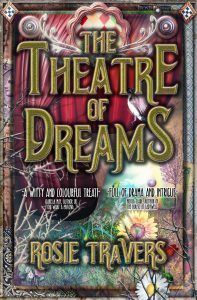 The Theatre of Dreams is a story of new beginnings, laced with romance, intrigue and a good dose of nostalgia. Set in a fictional south coast resort, a devious octogenarian, a disgraced actress and a bankrupt architect form an unlikely alliance to save an iconic local landmark, each with a very different motive. Musical Theatre actress Tara is down on her luck and in need of a job. When terminally ill octogenarian Kitty invites her to take over the running of her former dance academy in the old fashioned resort of Hookes Bay, Tara thinks she found her guardian angel. But it soon becomes very clear Kitty is being far from benevolent. Too late Tara realises helping Kitty will signal the end of an already tarnished career, unless she can pull off the performance of a lifetime. 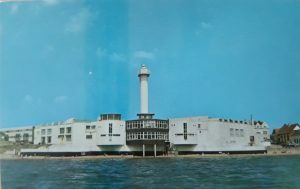 Inspiration for the story was partly derived from the Art Deco Lee Tower entertainment complex which used to sit on the seafront at Lee-on-the-Solent in Hampshire. Constructed in 1935 and designed by renowned architects Yates, Cook & Derbyshire, the vast building became a white elephant almost immediately before being demolished by the local council in 1971. The site is now a car-park. Discovering the story of the Tower and its sad demise prompted me to ask the question – why wasn’t more done to save the historic complex and so the idea for a novel was born. 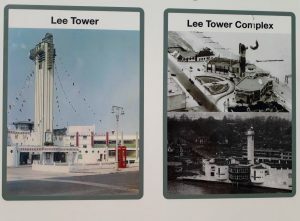 There are two videos on You Tube which show the Lee Tower in all its glory, and its very sad demise.